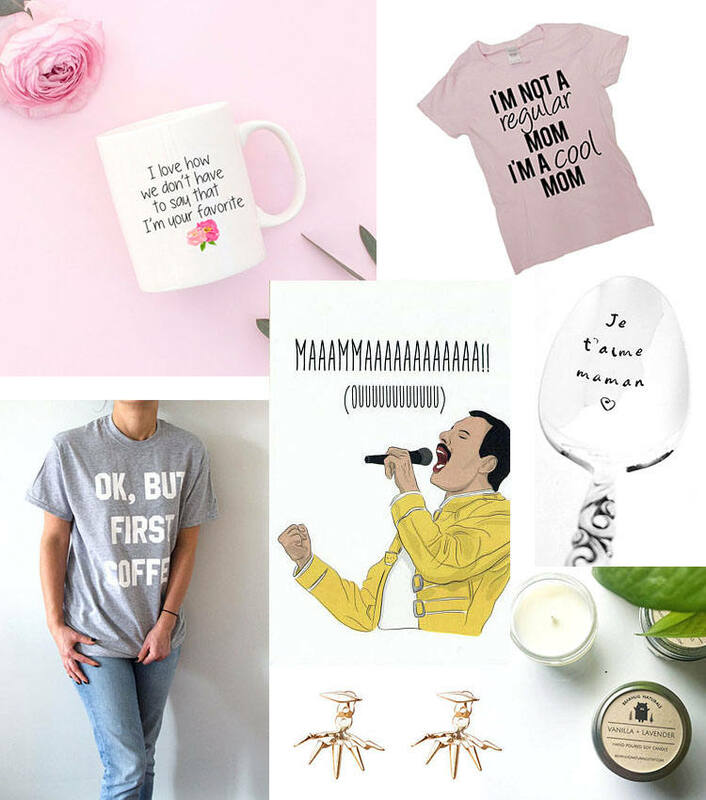 With Mothers day fast approaching I thought I’d do a fun post featuring unique gift ideas I found on Etsy. It’s so easy to go to the mall and quickly pick something up but I find it so much more fun going on a hunt for something unexpected and extra special. I attended a Mothers Day brunch with Etsy a few weeks ago and previewed some fun new things trending on Etsy right now. It was a beautiful morning that left me in awe of all of the beautiful items these makers create. I thought it would be fun to do a Mothers Day round featuring unique items I found on Etsy. There is something for every mom on here so I’m sure you’ll find something she will love. The Queen card is by far my favourite find haha! If you know of any other Etsy shops I should check out PLEASE leave them in the comments below. I’m on an ordering spree so I’d love to hear your favourites!